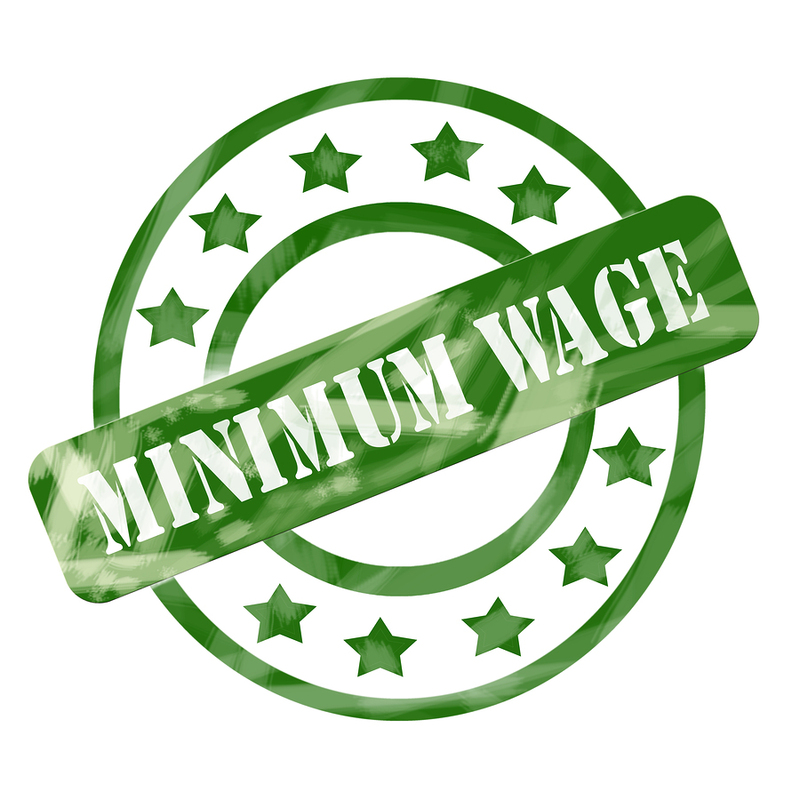 NMRA Member sued for not complying with Albuquerque minimum wage ordinance. Don’t let this happen to you! The NMRA has learned that a member is being sued by an employee who is stating that th ey were not being paid the appropriate minimum wage with tips. A lawyer believes he can successfully argue that, because the restaurant did not follow the tip declaration requirement, the restaurant is not entitled to a tip credit to meet minimum wage requirements, and that the employee was therefore NOT paid the minimum wage. 13-12-4 NOTICE, POSTING AND RECORDS. (A) Notice to employees. 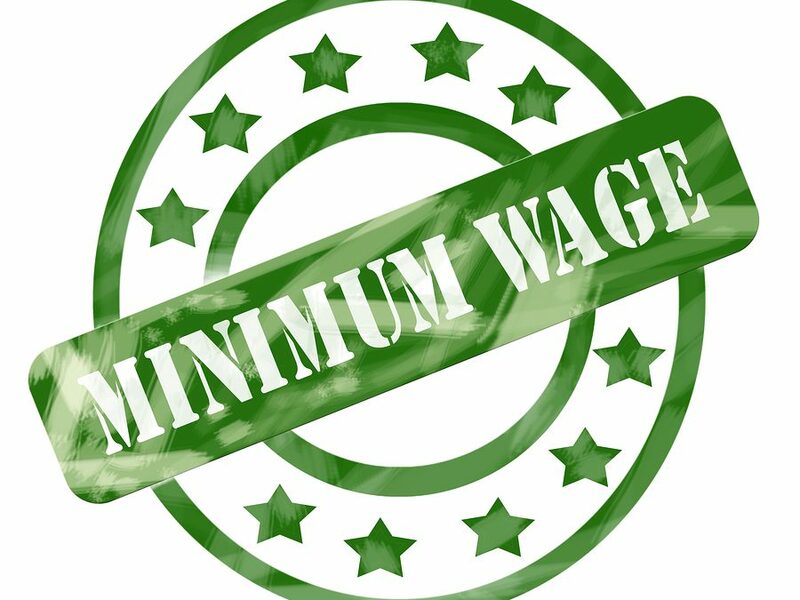 Every employer shall post in a conspicuous place at any workplace or job site where any employee works a notice published each year by the City Attorney informing employees of the current minimum wage rates and of their rights under this article. Every employer shall post such notices in English and Spanish. (B) Records. Employers shall maintain payroll records showing the hours worked daily by and the wages paid to all employees. Employers shall retain payroll records pertaining to employees for a period of three years. When the employer uses tips to meet the minimum wage for an employee, the employer must have a tip declaration signed by the tipped employee for each pay period. TIP. A sum presented by a customer as a gift or gratuity in recognition of some service performed for the customer. A TIP shall include only tips actually received by an employee as money belonging to him or her. Where employees practice tip pooling or splitting, as where wait staff give a portion of their tips to bus persons, both the actual amounts retained by the waiters or waitresses and those given the bus persons shall be considered TIPS of the individual employee who retains them. A compulsory charge for service imposed on a customer by an employer’s establishment shall not be considered a TIP unless it is distributed by the employer to its employees. TIPPED EMPLOYEE. Any employee engaged in an occupation in which he or she customarily and regularly receives tips from customers. Except as provided herein, employers shall pay all employees no less than the minimum wage for each hour worked within the municipal limits of the city. Tips or commissions received and retained by a tipped employee may be counted as wages and credited towards partial satisfaction of the minimum wage. 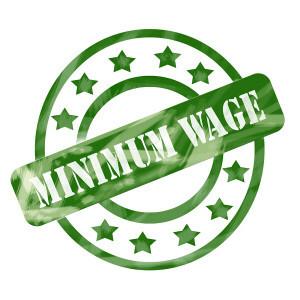 Provided, however, that the cash wage paid to a tipped employee by his or her employer shall be no less than the tipped minimum wage, which, beginning January 1, 2013, shall be 45% of the minimum wage, and beginning January 1, 2014 and each year thereafter, shall be 60% of the minimum wage. An employer may credit tips as part of the wages of a tipped employee only if the employer informs the tipped employee in advance in writing, pays the tipped employee a cash wage equal to or greater than the tipped minimum wage, and is able to establish by the tipped employee’s declaration for Federal Insurance Contributions Act (FICA) purposes or by its records of charged tips that the total of the tips received by the tipped employee and the cash wages paid by the employer is equal to or greater than the minimum wage. The tips received by a tipped employee become the property of the tipped employee and may not be shared with the employer. This subsection shall not be construed to prohibit the pooling of tips among employees who customarily and regularly receive tips. Click this link to read the full ordinance. Click here for the IRS tip recording form.